A great choice for style-conscious couples, this fashionable property offers design-led interiors and a rooftop bar with amazing city views. The H10 London Waterloo 4* is in an enviable central location, within walking distance to the vibrant Southbank. Our members will be treated to a complimentary room upgrade and a delicious daily breakfast during their stay! 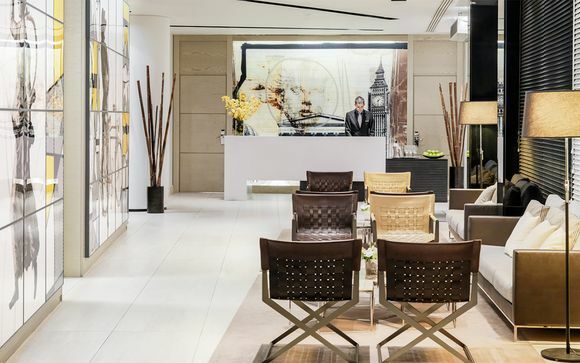 The superb location of the H10 London Waterloo 4* enables guests to easily experience all the wonders of Central London, and indeed the whole city. Numerous world famous attractions are located nearby. Stroll over to the Southbank to find galleries galore and a feast of fine culture, get a taste of the capital's opulence in Kensington and Knightsbridge, or venture to Oxford and Regent Street for an unmatched shopping experience. 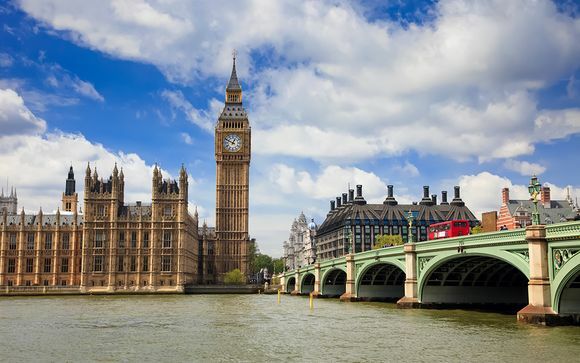 You will also find easy transport to some of London's other interesting areas, such as the markets of Camden and Portobello, and of course, there are must-see sights such as Buckingham Palace, the London Eye, and Trafalgar Square. 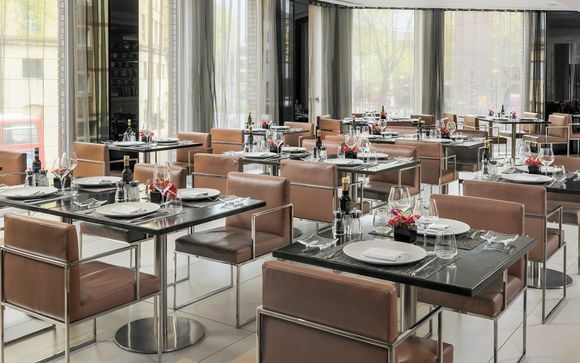 Boasting an unbeatable location, the H10 London Waterloo 4* is a fabulous, design-led hotel that's won numerous awards - a great choice for style-conscious couples. 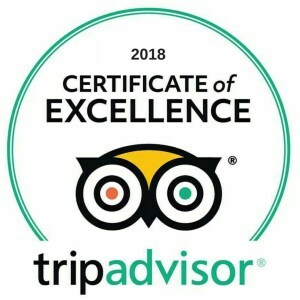 The Three O Two restaurant pays homage to the Spanish roots of the brand, offering the most delicious and healthy Mediterranean cuisine, whilst the Waterloo Sky Bar, located on the 8th floor of the hotel, offers amazing views of London’s iconic skyline. Please Note: The Despacio Spa Centre and Gym is no longer open. This offer is based on a stay in an upgraded Deluxe Room (24m²). While staying at the H10 London Waterloo 4*, our members will enjoy a complimentary upgrade to a Deluxe Room. 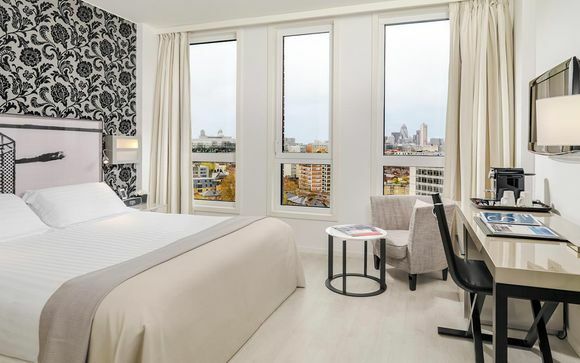 These elegant rooms are much more spacious than the standard and include a large desk, and a Nespresso coffee machine, as well as satellite television channels and an iPod docking station. Elaborate cuisine specialising in Mediterranean tastes and international gastronomy. Enjoy a delicious meal here and savour the relaxing surroundings. Enjoy a refreshing drink or a vibrant cocktail in the lobby, the perfect place to unwind after a day of sightseeing, and to start the evening's adventure. Chill out amongst the cool decor and discover a select cocktail menu for an enjoyable evening. This fabulous rooftop bar offers a sizzling atmosphere and an outdoor terrace with an unforgettable view of the city and the London Eye from afar. The address of your property is: 284-302 Waterloo Rd, South Bank, London SE1 8RQ. Distance from Heathrow Airport to the H10 London Waterloo 4*: 30.4 km / 1 hour 5 minutes. Distance from Elephant and Castle Underground Station to the H10 London Waterloo 4*: 0.5 km / 8-minute walk.